Like so much of what we do in marketing, vision statements are not rocket science. Yet they can be essential to the communication strategy process. Marketers should understand the vision statement’s purpose, its potential, and that it requires a small but worthwhile commitment of time and effort. A powerful vision is not something most of us can articulate in one sitting. On a recent project, I was reminded that a great vision statement can be the foundation for an entire set of compelling strategic messages. Here’s how. First, understand that a useful vision statement is not about your company, it’s about your customers. To develop a great vision, assume your company doesn’t even exist. The vision statement should “envision” the future — for your customers, the markets you serve and your industry. It should take into account the powerful social, economic and technological trends affecting them. It should predict the products, services, technologies and methods your customers will require to meet their needs, in the near term and further into the future. A vision based on your customers helps on a number of levels. For R&D, product development and strategic partnerships. For customers, who can buy into your vision and look to you for leadership. For analysts, who can better embrace your roadmap, and start to echo your themes. For recruiting like-minded, highly motivated staff. And of course, for developing communication strategies. 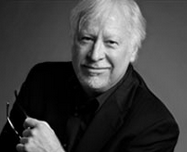 Marty Neumeier’s “Steal This Idea” is a great resource for ideas and insights on brand messaging. You can also sign up for his free monthly mailings. Marty, director of transformation at Liquid Agency, is a best-selling author with a great ability to break down concepts into into easy-to-grasp elements. My client has a well established company in a rapidly growing and changing industry. To develop a vision, we delved into the nature of the change, and the factors affecting it. We interviewed a range of their customers and partners. We identified some pretty frightening trends that might spell trouble. These economic, sociological and technological trends seem unstoppable. Understanding the trends helped us to make a pretty convincing prediction about what kinds of products and services the future market will demand and the industry will provide. This led to some great brainstorming sessions and a compelling vision statement. Afterwards, the client created a plan to provide a new product that’s far different than their current offering, in perfect alignment with our new vision. End of story? Not quite. Two weeks later, after stewing on the visionary “truths” we uncovered, my client called. He proceeded to unveil a plan that’s so radical, so disruptive, so gutsy and right, I felt like an idiot for not coming up with it myself. And grateful for a client who understood the implications of the vision. And yet, what made the plan (or “mission”) possible — a complete repositioning — was the carefully considered vision of how the market is going to evolve, regardless of how or even whether we participate. If you understand your industry’s history, its current status, and the powerful factors and trends currently at work, you should be able to envision where the market and your customers are headed. This puts you two steps ahead competitors that either don’t know, or fail to plan strategically. Once you envision the future, you can choose or design your mission — your role within the future you’ve envisioned. You can choose to be: the technology leader, the service leader, the price leader, the design leader, the regional leader, the leader for an entire solution or for a point within the value chain, the leader for a completely different business model, a completely different product or service, or a completely different market segment. You must choose to lead, if only for survival. But you have to do it in a way that you and your organization have the ability to support. Back to my client. He and his team are smart enough to understand that if they compete on the competition’s turf, they’ll lose the shootout, and their investors’ cash. So they’re choosing to change the rules in a way that helps them win. They’re staking out a position so completely different, they’ll lead just by being first and being committed. And it’s all based on a compelling vision. Use your experience and your insight to project what your customers’ world will look like in the coming months and years. Remove yourself from the equation; this is about the future, not about hype. What are the influential trends that affect your markets? Refine your vision until it’s compelling. Then define a powerful role for yourself. Know the resources you need to succeed in that role. If you don’t have them, commit to developing them, or find another role. Align your communication strategy with your new business objectives. Your compelling vision can give you a strategic foundation for greatness. I opened by saying that most vision statements are a waste of time. Yours doesn’t have to be. You just have to know why you’re creating it to begin with, and be willing to do the work. This entry was posted in Communication strategy and tagged Barrett Rossie, Communication strategy, great vision statements, marketing communications, messaging strategy, positioning, strategic communication, strategic messaging, vision statements by Barrett Rossie. Bookmark the permalink.